Politics UK - News: Police Privatisation: Govt is "playing with fire" says Union. Police Privatisation: Govt is "playing with fire" says Union. The Government has been warned it is "playing with fire" over plans to privatise parts of the police service after a poll showed overwhelming opposition among the public. A survey of 2,000 adults for Unison showed that almost two-thirds did not want operational functions of local policing handed over to private companies. More than half said they would be less likely to vote for a political party that wanted to use private companies in the police service. A similar number said they would feel less safe if a private company was answering emergency calls. Plans to privatise some elements of policing in the West Midlands have been put on hold until July to allow public consultation, following a move by Surrey Police to postpone its privatisation plans until the autumn. The two forces had earlier invited bids for £1.5 billion worth of services from private firms, on behalf of all forces. Companies attending a bidders' conference were told work that could be contracted out included 999 call handling, prisoner transfer and patrolling neighbourhoods. Unison said a number of forces were expected to press ahead with privatisation plans in the coming weeks without consulting the public. 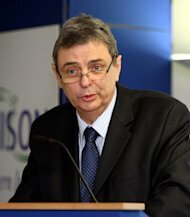 General secretary Dave Prentis, speaking at the union's annual conference in Bournemouth, said: "By actively encouraging police forces to privatise services, the Tory-led coalition is playing with fire - politically and socially. Not only will voters turn away from political parties that support the plans, because public trust and confidence in policing will be destroyed, but the moves also have damaging implications for social cohesion. "In these unsettled times, people need to have confidence in their local police. It is clear that privatisation will damage that trust, jeopardising years of work spent in building a more positive relationship between local communities and the police. "The Government has to listen to voters, to the public, who do not want their local police services to be sold off to profit-making private companies. As cuts intensify - and there is every reason to believe that they will - the case against privatisation grows only stronger. "Once private companies take out their profits - as they are obliged to do by their shareholders - the pot of money left to pay for local policing will shrink further, leaving the public with a poorer police service."